Don't Just be a Coder, be a SpeedCoder! 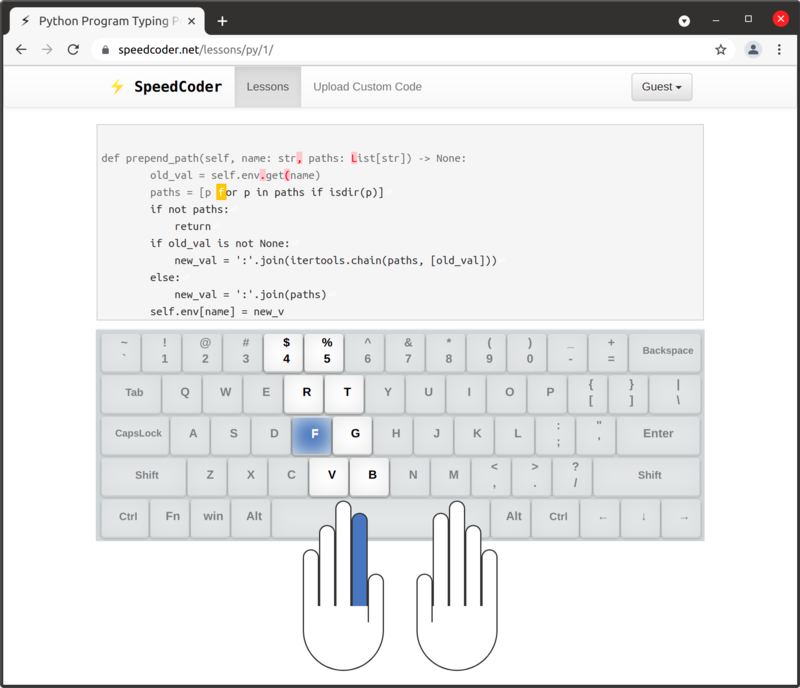 Practice Typing Source Codes of your favourite language with finger guiding system. While practicing you should not look at the keyboard but the screen which shows where the fingers will be placed. After completing each lesson you can see your WPM (words per minute), Accuracy and keys with most mistakes. All other typing tutors are aimed for general english, and do not provide practice for special characters used frequently in programming. With SpeedCoder you focus on those characters and keywords. This help you in reducing typing mistakes and improve your overall typing speed. What is Custom Code Feature? Custom Code feature allows you to practice your own programs or any other program that you would like to practice using SpeedCoder. Yes, each and every feature of SpeedCoder is absolutely free! these websites have reviewed us!